York Hotel is renowned for its Penang Hawkers' Fare buffet but lesser known is their local and Asian cuisine served at the White Rose Cafe. Helmed by Chef Charlie Tham, the culinary team has refreshed the a la carte menu showcasing new re-interpretations of Asian dishes and Western classics. 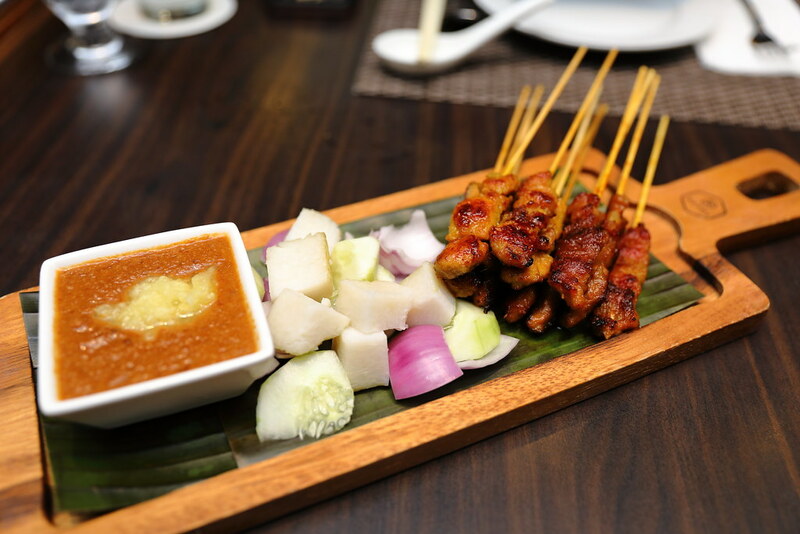 We started with some Satay that is well marinated and grilled to a nice exterior char. Diners have a choice of chicken or pork. It comes with rice rice cakes, sliced cucumber, onion and peanut sauce topped with grated pineapple. Love the fact that the sauce comes with grated pineapple for the hint of sweetness on top of the nutty sauce. 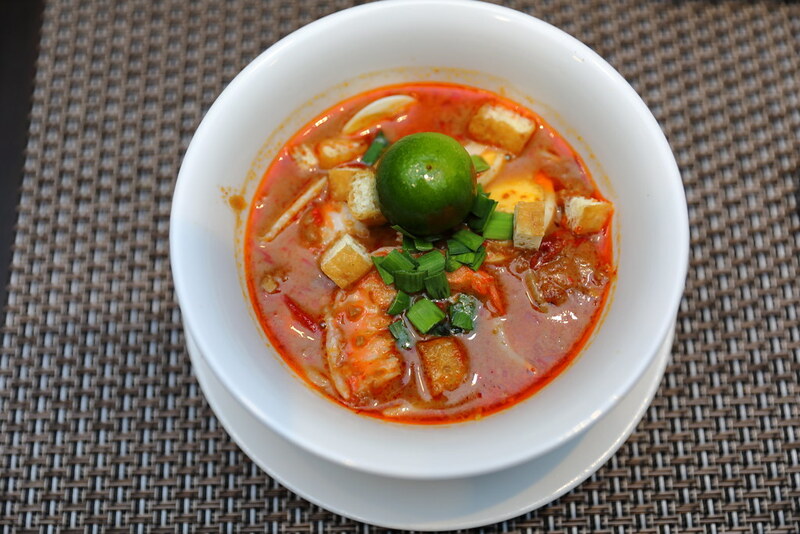 Even thought it is a refreshed menu, it also brought back some of the old favourites such as the Mee Siam. The tangy and spicy gravy topped with prawns, sliced egg, bean sprouts and diced fried bean curd complements the rice vermicelli excellently. Do note this is sampling portion. 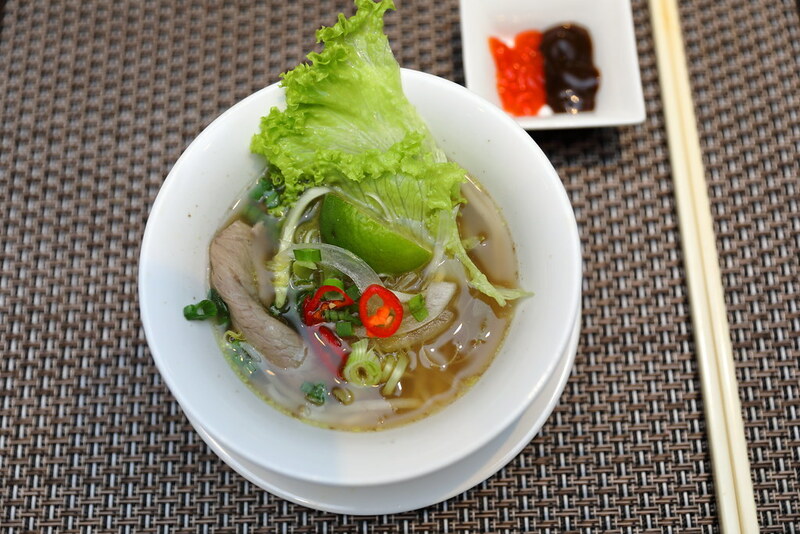 Chef Charlie has also introduced Vietnamese cuisine in the refreshed menu. The soup for the Vietnamese Beef Pho is boiled for hours using beef bone marrow for a good 8 hours, resulting in a light but rich broth. The flavourful broth is accompanied by the smooth flat rice noodles, tender sliced beef, bean sprouts and onion. It is then garnished with red chilli, lime and fresh local herbs. The other Vietnamese dish on the menu is the Vietnamese Pork Chop. I love the aroma of lemongrass in the marination of the pork fillet. 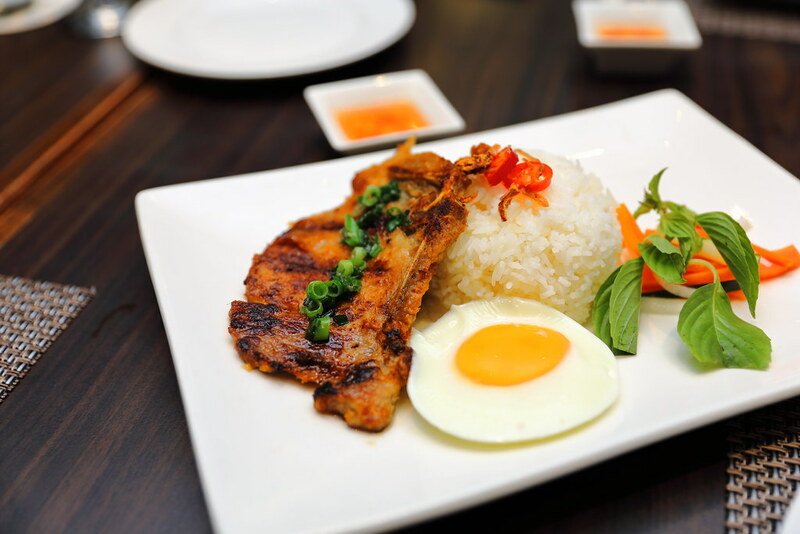 Grilled to tender perfection, it is served with sunny-side up egg, fresh local herbs, pickled vegetables and steamed fragrant rice. There is the Malay style mee goreng as well as the Chinese style. I prefer the latter for its wetter version, which is a bit like the hokkien mee. The Seafood Mee Goreng here hits all the right notes for me. 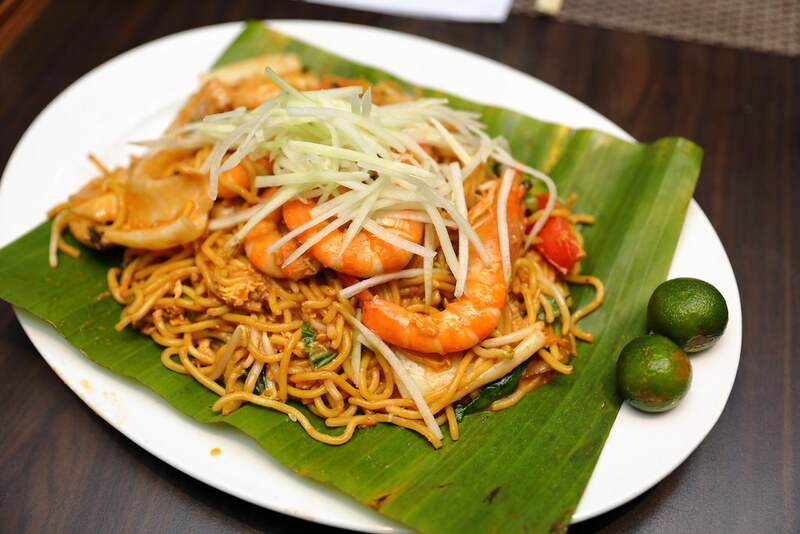 Mildly spiced, the wok fried yellow noodles comes with egg, prawns, squid, sliced fish and bean sprouts. One should not miss having the Fish Head Curry at White Rose Cafe. 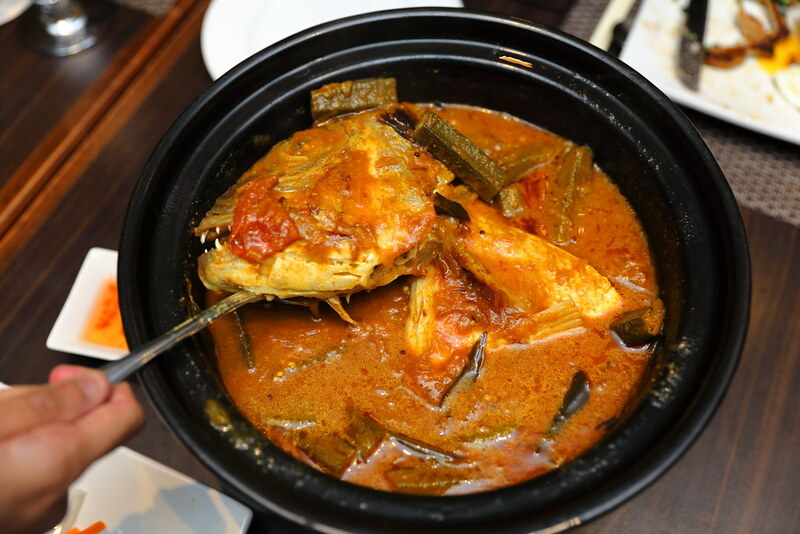 The fish head curry is prepared accordingly to the well guarded recipe from Soon Heng Restaurant dating from 1970s, touted as the creator of the Singaporean Chinese style fish head curry. 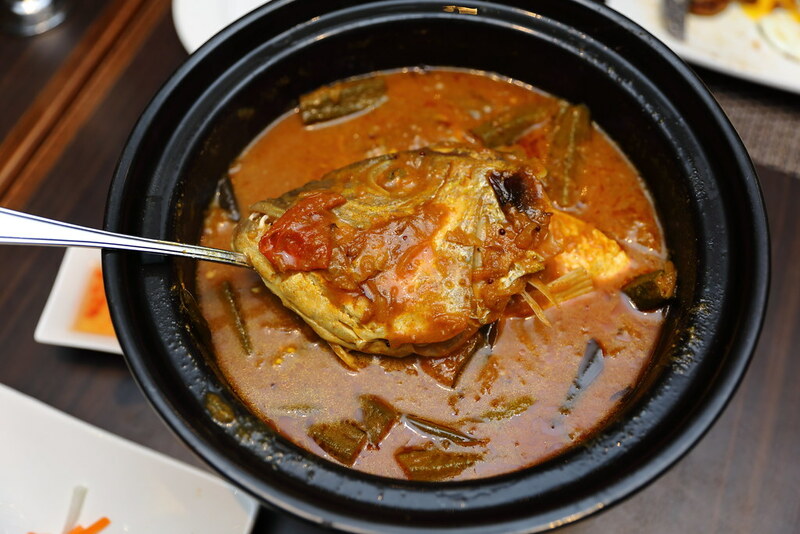 The red snapper fish head is first steamed and then cooked in a mildly spiced assam or tamarind based curry sauce together with tomatoes lady fingers, sliced onions and fresh chillies. The fish is cooked perfectly, firm and moist with a delectable sweetness of the flesh. Besides the Asian fares, there are Western classics such as Fish N Chips and Grilled Chicken Thigh. 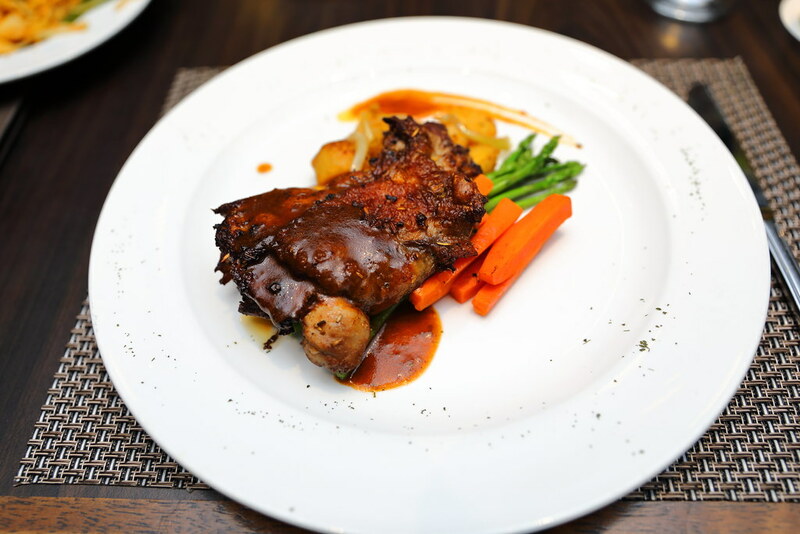 I tried the grilled chicken thigh which is served with seasonal vegetables and sauteed potatoes. The chicken skin is grilled to a nice crisp while the meat is tender and juicy. 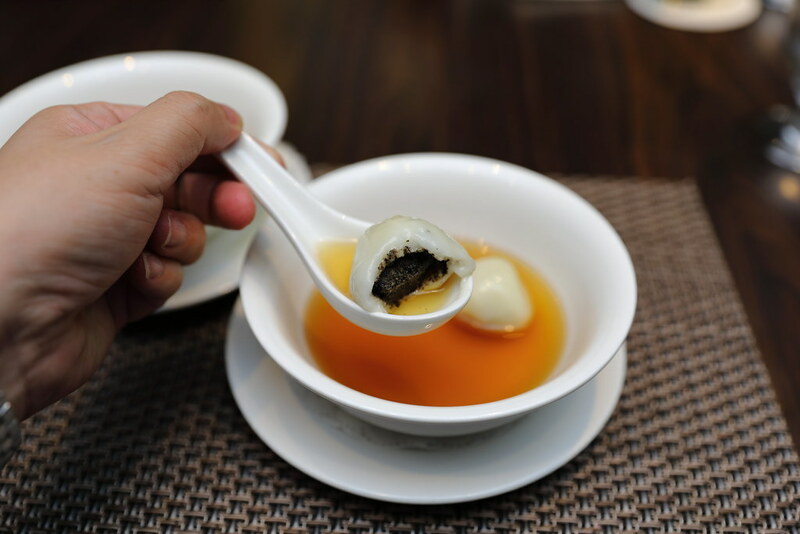 Wrapping up our dinner, we had the Tang Yuan, traditional glutinous rice balls stuffed with black sesame filling in hot ginger flavoured syrup. While I enjoyed the soft glutinous rice, I felt that the ginger soup is a bit too sharp. It need some extra sweetness to balance the sharpness. I really enjoyed the refreshed a la carte menu at White Rose Cafe. The dishes served are food that is closed to our heart and I have to admit that it has executed them well. I would recommend the fish head curry, mee goreng and mee siam as my favourite.